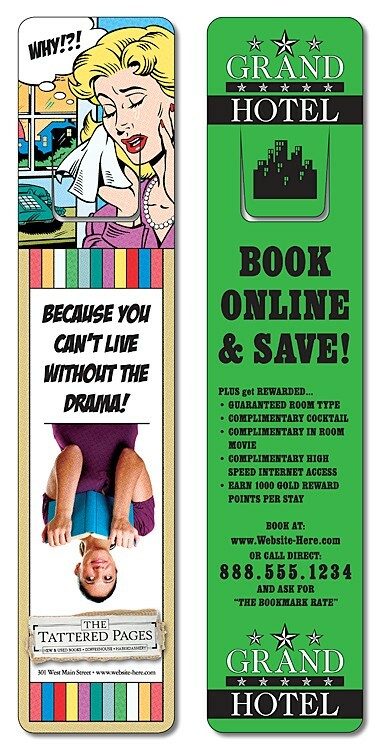 Rectangle shape bookmarks & rulers can be used to promote any product, service or company in a creative and fun way. Perfect for schools, libraries, offices, hotels, motels, any place with books. 8 in. x 1.75 in.